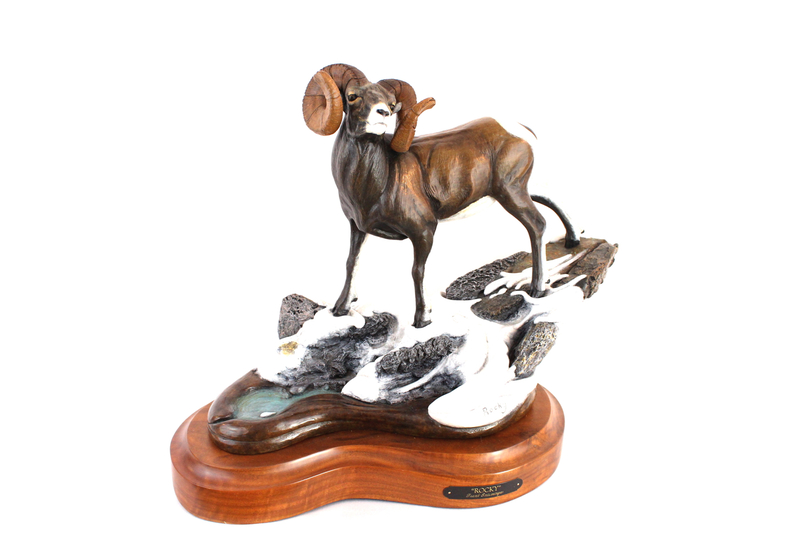 Frank has donated Rocky to the Alaska Chapter of Wild Sheep Foundation for their 2019 auction in Anchorage on Saturday April 13, 2019 check at their Facebook page. This piece is also open to online bidding. Frank cast “Rocky” in 2009. 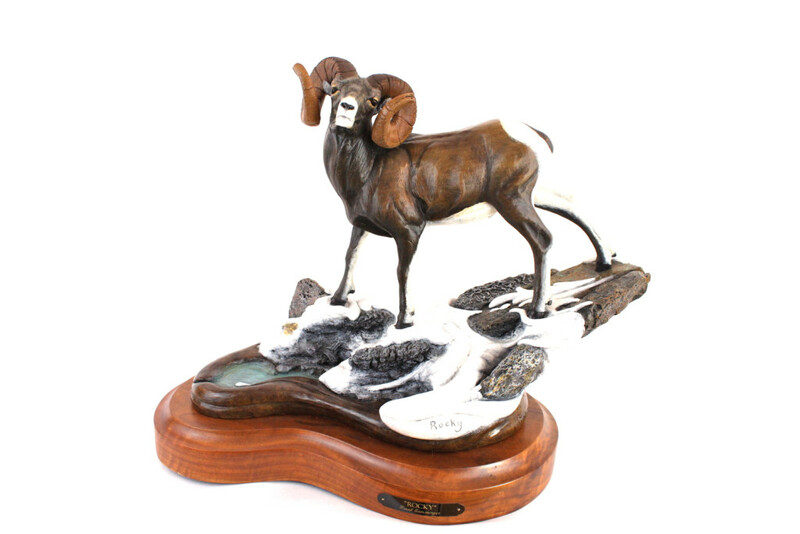 His love of sheep, years lived in Montana while growing up, & a request to do a special Bighorn of a clients ram inspired Frank to work on this piece. Frank’s asked Jim Stout his foundry man to help Baer Bronze of Utah to work up a nice colored patina to bring out the beauty of “Rocky” which is on a walnut base with a swivel.